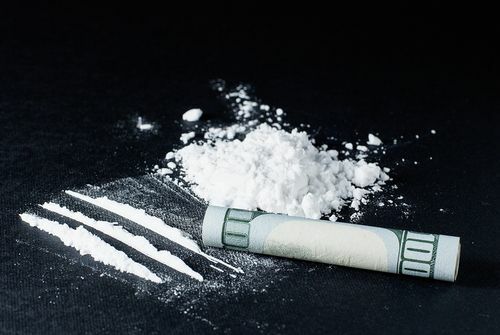 Cocaine is a central nervous system stimulant; this means that rather than decreasing functions in the way that opioids do, cocaine increases them. One key effect is increasing the availability of dopamine, creating a sense of euphoria and stimulating the reward centers of the brain. Many begin using the drug because they see its effects on mood and energy as being positive, only to find themselves in need of cocaine addiction treatment. Because both crack and powder cocaine are so dangerous, cocaine treatment is vital to beating the addiction. There are numerous options for treatment and follow-up care in the United States. Cocaine is one of the most frequently abused drugs in the United States. In fact, more than 14 percent of people aged 12 and over have used cocaine at some point in their lives. In terms of the risk of the drug, it accounts for nearly half of all emergency room visits related to drug abuse or misuse. With the risks so great, users need to seek out cocaine addiction help. In theory, getting treatment for cocaine addiction is easy; there are numerous rehabilitation clinics across the country, and nearly every city has some sort of anonymous program to help addicts remain in recovery. However, many users find getting help to be difficult. This has nothing to do with the availability of care, but rather with the personal struggles of the user. Perhaps the biggest struggle that users face is getting past the denial of their problem. Many users think that they do not have a problem; they are choosing to use because they enjoy it, they tell themselves, but they could stop if they wanted to. They may even tell themselves there is no risk, doing things like driving on cocaine. 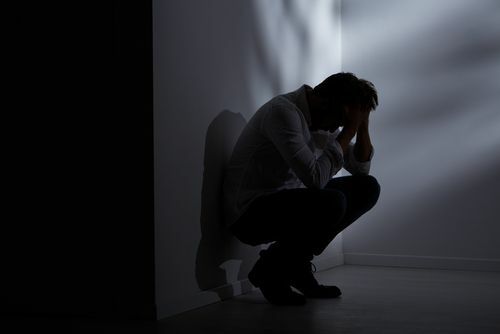 In some cases, the user knows that they do abuse the drug, but because they can point to addicts they think are worse off than them, they figure it isn’t time to get help yet. Other common personal barriers to getting help for addiction to cocaine are a sense of shame attached to being addicted and that they are not worthy of help. But with the risks of cocaine use being so great, it is vital that the user moves past these barriers to get the treatment they need. Any cocaine use is reason for rehabilitation, no matter the frequency or cocaine dosage, and there shouldn’t be any shame in asking for help. And despite how many users may feel, they do deserve to live a happy and healthy life. Once the user is ready to get the help they need, it is important that they seek out a skilled rehabilitation program. Cocaine withdrawal can be deadly if it is not managed properly, so it must be done under the supervision of a medical team. Rehabilitation centers are trained to make the withdrawal process safe and as painless as possible and then help the user develop the skills needed to avoid substance abuse in the future. Finding these centers is easy, as they are located all across the United States. In order to avoid complications from use, including overdose and death, help should be sought as soon as possible. The sooner the user reaches out, the sooner they can enter recovery. Cocaine addiction treatment is hard but rewarding work. While it can seem impossible when in the throes of addiction, the truth is that it is possible. And once in recovery, the user will discover how much better life is without the drug. Many people misunderstand what rehabilitation treatment is. They often think that it is just about detoxing from the drug, waiting for how long cocaine is in your system to end, and then you are on your own. However, the detox process is only the first step in rehabilitation. Once the user is safely off the drug, it is time to start building the skills they need to avoid future substance abuse. This stage of rehabilitation can last months. And once the user is finished with rehabilitation, they go into maintenance, attending cocaine anonymous meetings to maintain the strength needed to continue saying no to drug abuse. When seeking help, users often worry that treatment for cocaine addicts doesn’t work. The chances are high that the user has met at least one active addict who has sought treatment in the past, yet they are still using. While there are many reasons that an addict might relapse, the truth is studies have proven that rehabilitation works far more often than it fails. Perhaps the greatest factors in the success of treatment for cocaine addicts are the commitment on the part of the addict and finding the right fit for them. Despite how rehabilitation is portrayed in the media, no two clinics take the exact same approach. Patients can look at the therapies used, both behavioral and pharmacological, and decide between residential, outpatient, and combination programs and then follow up with cocaine anonymous programs While it might take a little research, the right center is out there. There are numerous factors to consider when selecting a rehabilitation clinic for cocaine recovery. However, the biggest one is deciding between inpatient and outpatient cocaine rehab. While the user may automatically lean towards one over the other, it is vital that they understand the pros and cons before they make their decision. Inpatient cocaine rehab takes place completely within the treatment facility. During the time of treatment, the user lives at the center full time, following a set schedule and being given access to medical and psychological care at all times. For many users, inpatient care is needed in the initial stages of treatment, and some will require it throughout the rehabilitation process. Outpatient cocaine rehab takes place at centers, but the patient lives at home during their treatment. Depending on the program chosen, the therapy sessions may last the entire day, which still can pose problems with jobs and other commitments. However, the patient will be home every morning and night, making them more available for family and chores at home. For many, the best option is a blend of the two types of treatment; the patient starts with inpatient treatment, getting through the time when relapse is most likely to occur, then switches to outpatient care once they feel strong enough to resist the temptations. Getting help for addiction means talking about the problem at hand, and for many, that can be uncomfortable. In our society, there is plenty of stigmas attached to cocaine addiction and addiction in general. But users must never allow this to stop them from getting the cocaine addiction treatment they need. Rehabilitation programs do not judge how or why the addiction has occurred; they just offer the assistance the user needs to live a better life. No matter what has led to the need for cocaine treatment, rehabilitation centers offer judgment-free assistance in getting onto the road to recovery. Remember that rehabilitation treatment is better than cocaine overdose treatment. The user must get help before it is too late. Cocaine is a powerful drug and highly addictive, making it difficult to stop using without assistance. However, there are many programs across the United States that offer approaches that make recovery possible. Once treatment for cocaine addiction is complete, the user enters the maintenance phase though cocaine anonymous meetings. Together, these two phases of treatment allow them to live a healthy life. If you or a loved one are using cocaine and want cocaine addiction treatment, our addiction specialists are here to help. Call us at (888)-459-5511 to get the assistance you need. I used coke in 3 short periods of my 50 yr life & want to give those hope while not minimizing the task ahead. I was using coke from 17-19 but then went to N.A. and continued for 2 years while seeing a pvt drug phd. I decided one day at 19 to stop and never used coke again until I was introduced to it while P.T. Trading Coffee sugar and cocoa at the WTC in 2000. I probably had the hardest time stopping sinve I used it to drink longher more and more until I stopped in 2003 only to relapse after my sponsor at the time was having an affair with my now x wife since 2002. I left her and A.A, until 1/2006. I have been sober and clean since. THE POINT? Since there is not much physical withdrawll it is also the least enjoyable drug after that short honeymoon . YOU SIMPLY QUICKLY FEEL BETTER OFF COKE/FREEBASE/CRACK tHen when on it . There are studies showing the brain can heal and after just 1 year. The success rate is >%90 if you can just run your 12 step program, go to an initial 21 day day in patient to get away. THEN go to meetings, meetings and more meetings until that 12 months comes. STAY CLEAN, MEETINGS, 2-3 week in patient and stay away from P.P.T.Things for 12 months and 9/10 of us make it. RELAPSE CAN HAPPEN BUT QUICKLY GET BACK ON THAT SADDLE AND LEARN AND SHARE WHAT CAUSED IT. OPIATES IS THE HARDEST WITH A <%35 Success rate but you do not need to be in the %65. ONLY A 12 step higher power based program works with abstinance. X-COKE USERS WHO DRINK EVERY NIGHT ARE ON THERE WAY WORKING TO A RELAPSE.